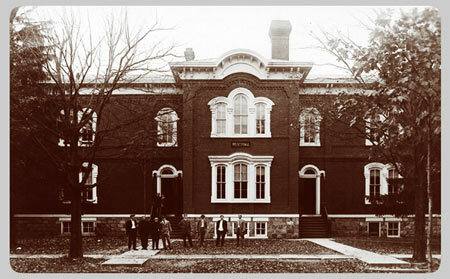 In November of 1901 the Regents appropriated $16,000 for the purchase from the city of Ann Arbor of the old First Ward school building, which afterward was known as West Hall. This simple brick edifice, built in 1862-62, stood on State Street, very near the site where Betsy Barbour House was later erected. 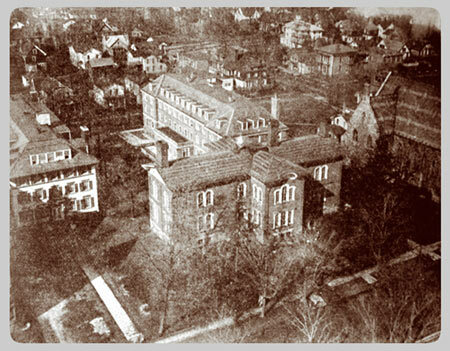 University Hall, which housed the classrooms of the Literary College, had become so overcrowded that immediate expansion was necessary, and to relieve this situation additional classrooms were made available in West Hall. 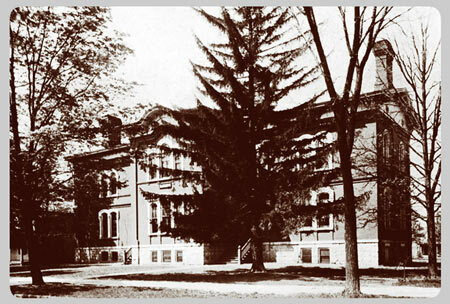 Although it furnished only 9,824 square feet of floor space, West Hall accommodated classes in English, modern languages, and forestry. Later, the Department of Rhetoric of the Literary College was the sole tenant. Professor Fred Newton Scott’s seminar room, with its famous round table, was situated on the second floor of this building.